Highclare School > News > News > A warm welcome awaits prospective parents at Highclare Junior School this Spring. It is Spring at last and there is a very positive spring-like feeling running throughout Highclare Junior Schools. Activities are moving outside and more summer term trips are being planned. Our Pre-School and Reception aged children are all following up on the exciting trips that they took part in in March. Pre-School visited Kingsbury Water Park for pond dipping and Reception class took off to RAF Cosford to see for themselves planes of the past and future. They even tried out being a pilot! In April our Reception class children are giving prospective parents and pupils, who are still considering options for September 2018, the opportunity to come along and see their class room in action. Through a series of Reception Coffee Mornings on Tuesday 17th to Friday 20th April, we invite anyone interested in their child’s future education to come along and see what Highclare Junior School has to offer. Give our Admissions office a call to find out more or e mail them: admissions@highclareschool.co.uk or 0121 386 8218. 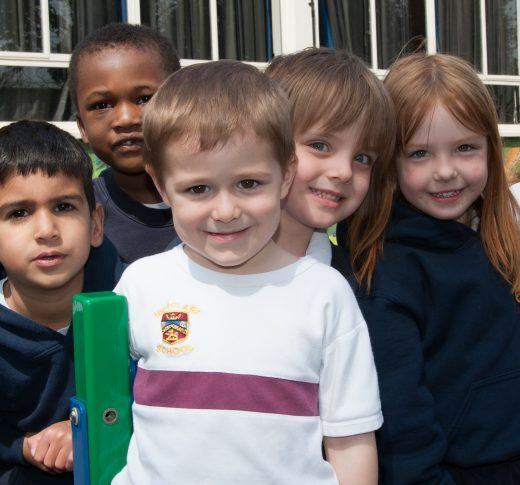 In our two Junior Schools there is always a positive and purposeful atmosphere to everything that we do. Alongside the importance given to the curriculum and the focus on high standards of learning and educational input in the classroom, we offer a large and varied extra curriculum. We are proud to note that we have over 17 peripatetic music teachers who specialise in a range of different instruments and vocal techniques. In addition to this many of our students from both junior schools take part in LAMDA (London Academy of Music and Dramatic Arts) qualifications, many gaining distinctions. Last term our junior pupils treated us to their versions of two different productions, ‘Cinderella and Rockerfella’ and ‘What a Knight’. Look out for reports and photos of all these exciting evenings in the news section on our website. As part of the Independent Schools Association (ISA) we encourage our pupils to take part in many sporting events held both regionally and nationally, and always competition at this level is keen. We have been thrilled to see some of our junior and senior pupils gaining medals (Bronze, Silver and Gold) in both the national events for swimming and cross country and their success has been highlighted on our website news. Opportunities for prospective pupils and parents are being offered again at more specific open events during the Summer term, conveniently arranged on either Saturdays or during the school working day – come along and see our school in action! For more information follow us on Twitter and Facebook, or call Admissions on 0121 386 8218. Actions really do speak louder than words.